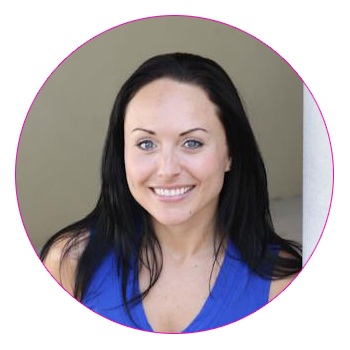 Karolyn Zinetti interviewed me for her High Vibe Tribe podcast where we talked about everything from morning routine, depression, suicide, protecting your energy and boundaries. Have a listen here. I contributed to this lifestyle blog which you can read here. Alexander Boggus from Next-Level Coaches interviewed me on how to clear the crap that’s holding you back. 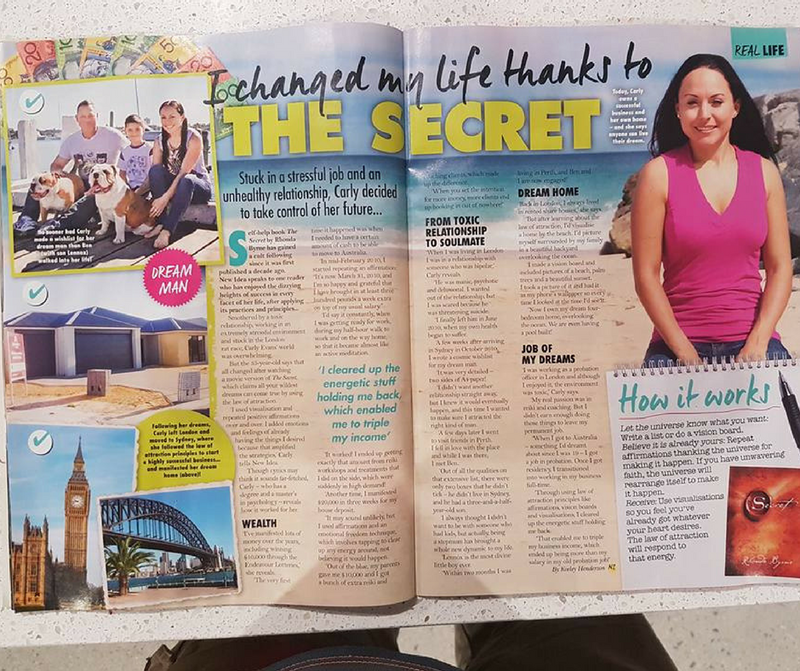 New Idea magazine interviewed me about how I used the Law of Attraction tools to manifest my dream life. I was in the West Australian newspaper as I’m taking part in a DNA study which is investigating the causes of depression. 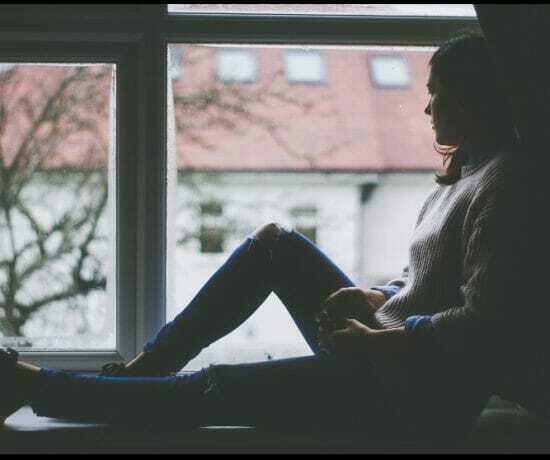 While I have been free of depression for many years now as mine was reactive depression after a series of traumatic incidents in my life, any person who has had any type of depression in the past is eligible to take part. 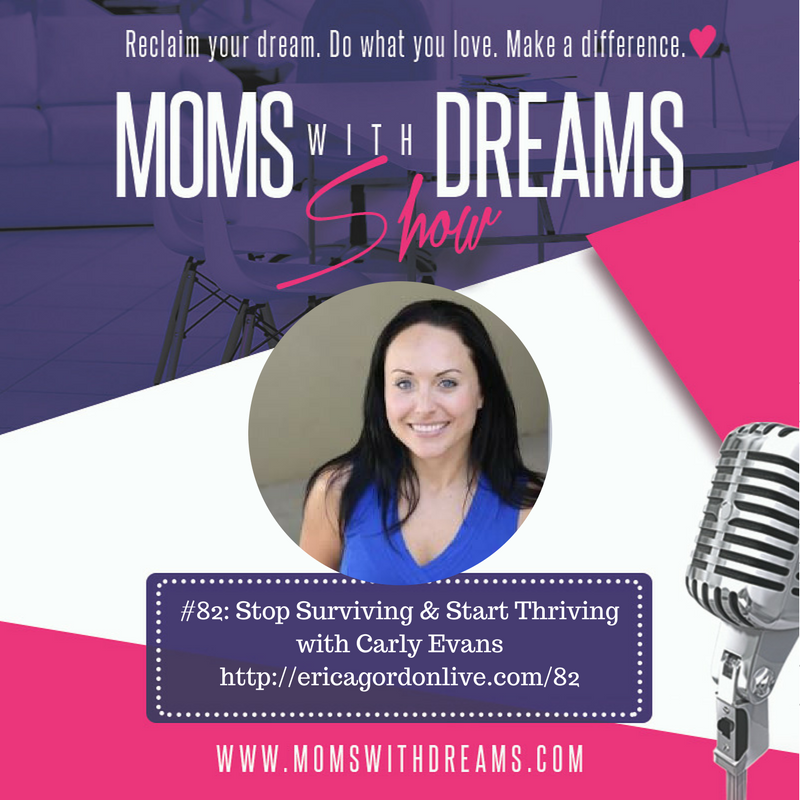 I was interviewed by Erica Gordon for the Mom’s With Dreams Podcast. Erica and I spoke at length about people going through a relationship breakdown and how that can lead to depression and suicidal thoughts/behaviour. We talked about the challenge of putting your life back together after going through trauma and how limiting beliefs can impact your happiness. I share tips with the audience on what to do if you’re feeling like you’re struggling to cope. I was interviewed by Timo in America for the Timo Show podcast. Timo and I chatted about cleansing, energy healing, following your intuition, emotional health and suicide prevention. I was interviewed by Paul for episode 17 and we spoke at length about how people can experience burnout no matter what career they choose. Tune in to this episode for my tips on how to manage burnout. If you’re unable to see the video below, which sometimes happens when viewing on a mobile, you can click here. 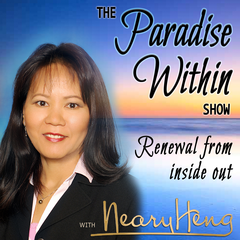 I was interview by Neary Heng for The Paradise Within Show. Initially we were going to talk about how I came to find my passion in life, doing what I love for my work. As we got into our conversation we found ourselves delving deeply into the subject of suicide and how I ended up coaching people through change and trauma. 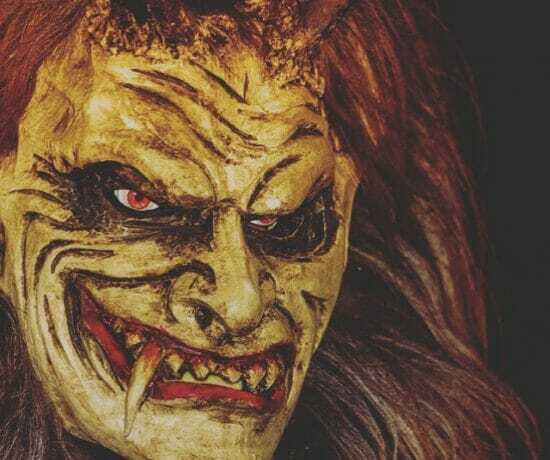 It became a really interesting conversation where I share a few gold nuggets about what people can do if they find themselves in this dark headspace. You can check out my interview here. 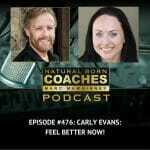 I was interviewed by Marc Mawhinney, the Coach’s Coach, on his amazing podcast, Natural Born Coaches. I was soooooo excited to be interviewed by Marc because I listen to his podcast every morning on the way to drop my stepson Lennox off at school. He gets to choose what he wants to listen to each morning and Natural Born Coaches is usually his first choice, closely followed by Tony Robbins! Marc and I spend some time talking about the global epidemic of suicide and how I’m on a mission to make a dent in the global suicide stats through my online program, From Surviving To Thriving, as well as through 1:1 coaching. 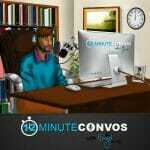 I was interviewed by Engel Jones for his 12 minute convo’s podcast – Engel is aiming to set a new world record of the most conversations created within a 3 month period and is going for 1509 podcast conversations. Very fun for me to be part of his world record!! 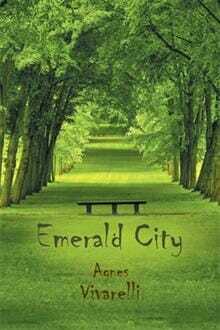 You can listen to the interview here. “Across the globe there are countless people who are feeling depressed and suicidal on a daily basis, and struggling to beat it. In fact, many don’t, and choose to end their lives. As a result of this, so many more lives are impacted as their friends and family are left feeling confused, abandoned, and like they should or could have done more to help. We all want to feel happiness, peace and contentment – and we all deserve that. There is so much pressure on us all in this day and age, where we are switched on 24/7, with huge demands placed on us each day. Most of us are stuck in constant fight or flight mode, and this takes its toll on us eventually. When we crash and burn, we feel like we have failed because we can’t keep up with the rat race, and this can easily lead us into depression. When you add past trauma into the mix, it makes for an even harder emotional rollercoaster. Carly wants to show people that there is another way – life really doesn’t have to be so hard. 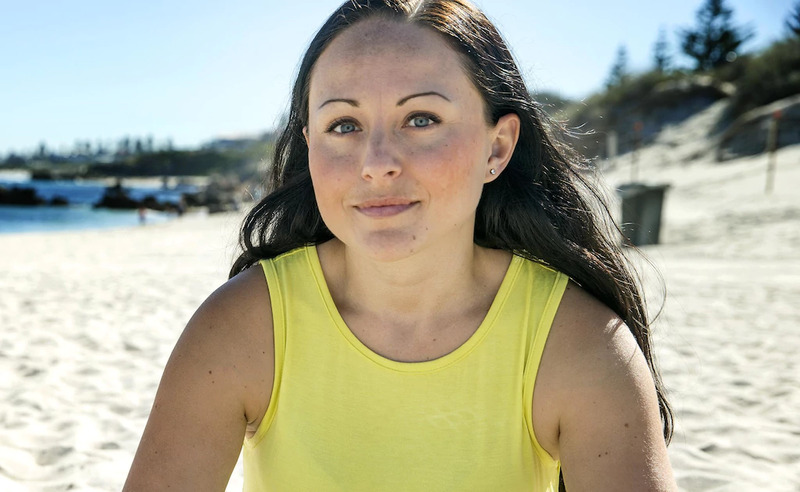 After a career spent as a Corrections Officer in London, and as a Community Mental Health worker in Perth, Australia, Carly saw countless people in the same boat – with mental health issues they were struggling to beat, crises and trauma such as child abuse that they felt they could not recover from, eventually all taking its toll and leading them to serious self harm and suicidal feelings and behaviour. Listen to the replay of this podcast interview here. This was a really fun interview which you can listen to here. A blog of mine was published on www.thisself.com – fix up your broken windows. 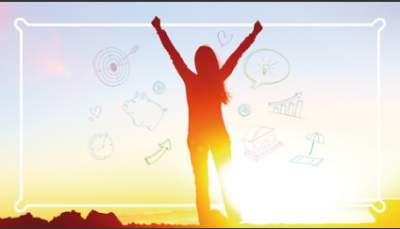 I was interviewed by the lovely Colleen at Colleen’s Coaching Corner in May 2013. You can check out the audio and transcript here.